Turn up your romance and tickle your senses at this one-of-a-kind sensorial date night this coming Valentine's Day! 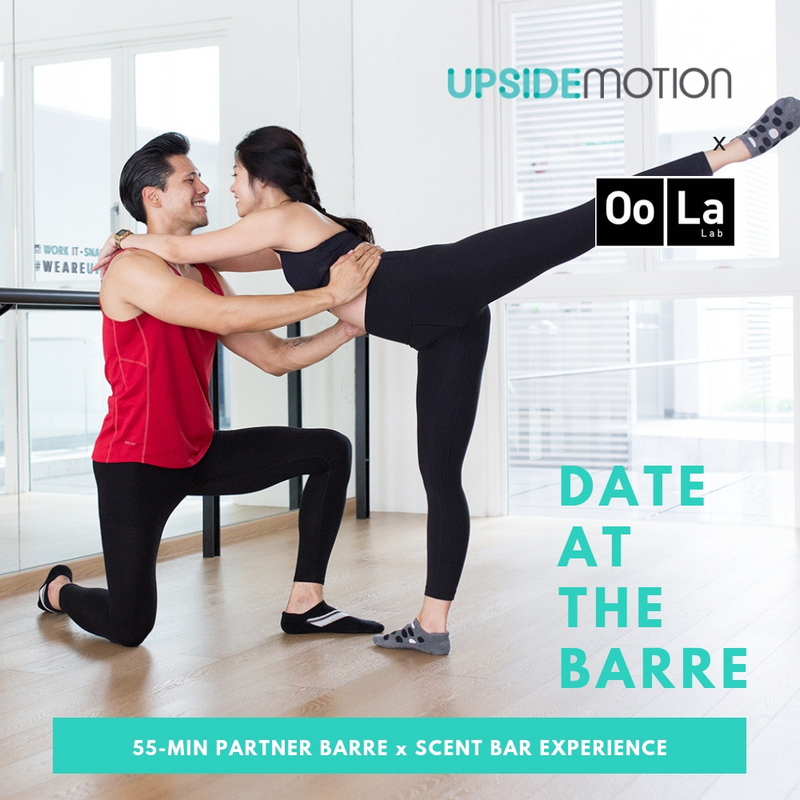 Synchronise your heart and body with your date in a 55-minute partner barre class with Tabitha and learn how to create your own bespoke perfume with Oo La Lab mixologist. Ready to meet us at the barre? (includes one 8ml DIY perfume bottle to take home). *First come first served, limited slot available. In the event of a participant is absent or miss one session of the event, no make-ups will be conducted and no refund will be available. 2) Make payment and reserve slots for SINGLE TICKET, COUPLE TICKET, or SCENT BAR EXPERIENCE TICKET ONLY. Xtend Barre is a fast-paced cardio workout that fuses the principles of traditional ballet with Pilates. Combining isometric exercises and orthopedic stretches together with light weight training, you can sculpt your body and condition your core to achieve the graceful form of a dancer, without having the need for any dance background. This exercise targets muscle groups such as the upper arms, upper and lower back, glutes, abs, thighs and calves. The full-body workout focuses on precise controlled movements executed to the beat of an upbeat playlist, making it one of the most enjoyable calorie-blasting workouts yet! Singles will get paired up so don't fret & be ready to mingle! Wear close-fitting, comfortable clothing that allows for movement. Non-slip socks, studio wraps or ballerina shoes are required when attending Xtend Barre classes. Oo La Lab scent bar is a craft fragrance lab where perfume ingredients are stored in small batches and hand-poured to order. Choose from already popular formulas, or work with an Oo La Mixologist to design your own. 1000's of unique olfactory combinations can be crafted.